The first ever spring cleaning sale is on now at AM Dolce Vita. Spring is the time I perform a complete sweep of the house to part with things that I no longer have room for. These are all my treasured belongings so rest assured that they are either in like new (some were never used) or vintage mint condition. I would be willing to ship smaller items internationally, and will only charge you the actual shipping costs. Send me an email at amdolcevita88(at)gmail.com to let me know which item(s) you want and I will set them aside for you. Local GTA pickups can be arranged. 1. Pair of vintage turquoise foo dogs, a Chinoiserie design staple, perfect mint condition, 8" L x 5.5" H each, $120 for the pair. 2. 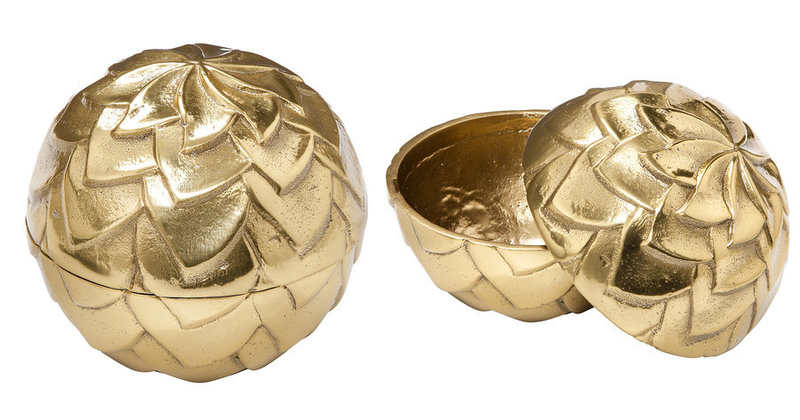 Brand new Nate Berkus for Target brass feather trinket box, 4 3/8" in diameter, $25. I thought I needed two, but turned out I am only using one. 3. Set of 4 mid-century modern black white genuine horn bone decorative spheres/balls, each 3" in diameter, $25 for the set. 4. 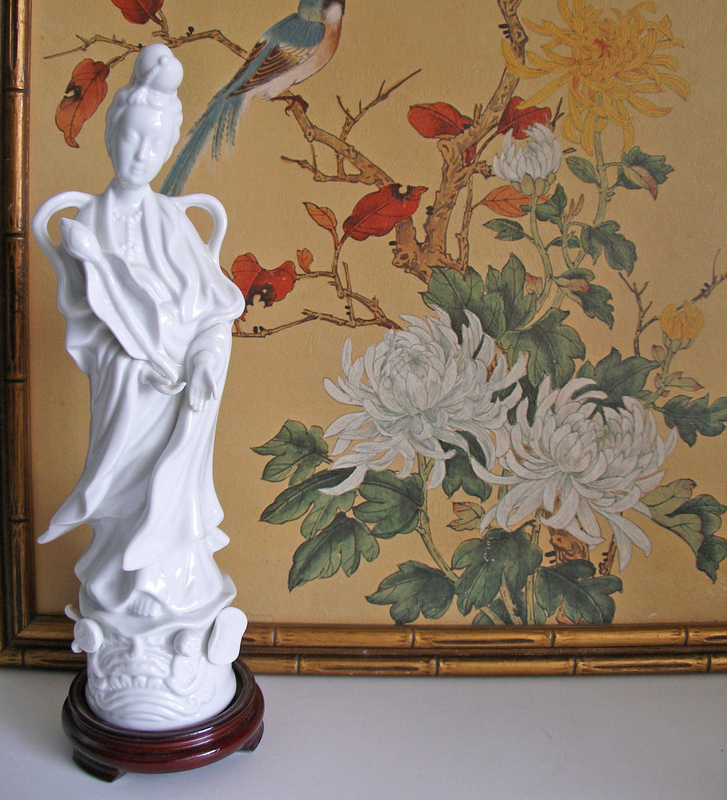 Hollywood Regency faux bamboo octagon mirror, vintage mint condition, 32.5 (H) x 25.5" (W), $165. 5. 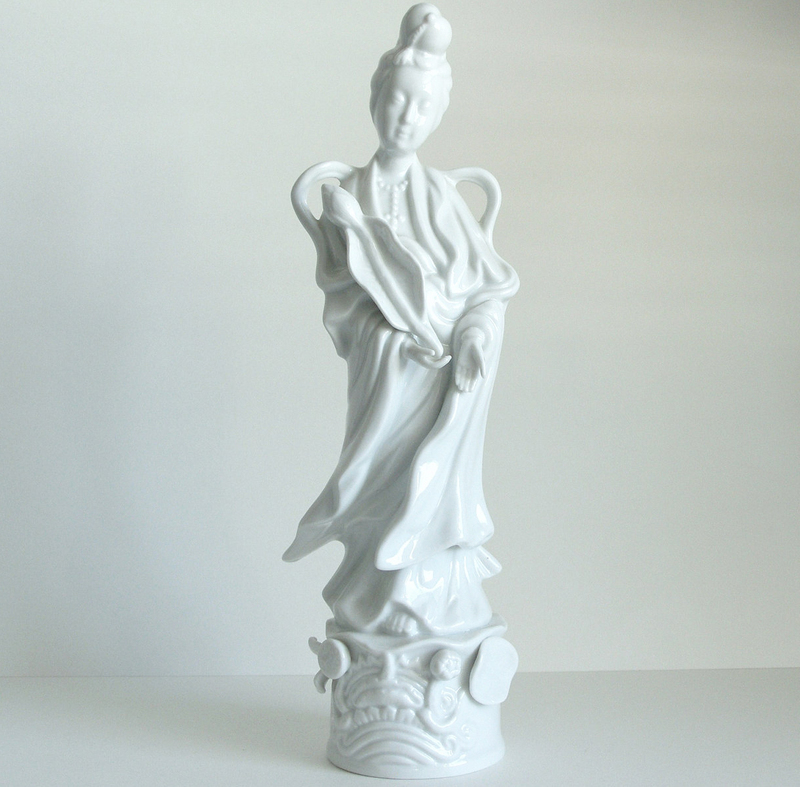 Chinoiserie decor figurine, 1960s blanc de chine Kwan Yin "Mother of Mercy", 12" tall, $45. 6. Antiqued silver leaf arched mirror, it used to be in my living room over the mantel, 40" (H) x 30" (W), $175. 7. ELTE free-standing mirror with storage, perfect for an industrial chic/minimalist style, 71" H x 23" W x 16.5" D, $250. 8. Pair of bar art, original acrylic paintings on canvas board signed by me, each 12"x12", $30 for the pair. 9. Set of 3 nursery/kids room art, original acrylic paintings on stretched canvas ready to hang, signed by me, each 8x10", $45 for the set. 10. Pair of nursery/kids room art, original acrylic paintings on canvas board, signed by me, 8x10 each, $25 for the pair. That's all for now. Please feel free to email me if you have any questions.